Over the holidays and into the new year, York Region has seen bitter cold temperatures and icy winds. Winter’s not going anywhere, so to make sure you’re ready for the next blizzard, here are some useful tips to stay warm during the chilly season. Layer up. This way, if you become too warm, you can remove layers and adjust your temperature. Cover your head, neck, hands and feet to prevent heat loss and wear windproof and waterproof clothing. Wool socks and a thick, warm winter coat are highly recommended. Don’t go out into the weather unprepared. Stay on top of your local weather forecast to make sure you’re dressing for the weather and have an idea what the traffic will be like due to weather conditions. Winter activities are a Canadian tradition, but sometimes temperatures go well below what is tolerable for an extended period outdoors. 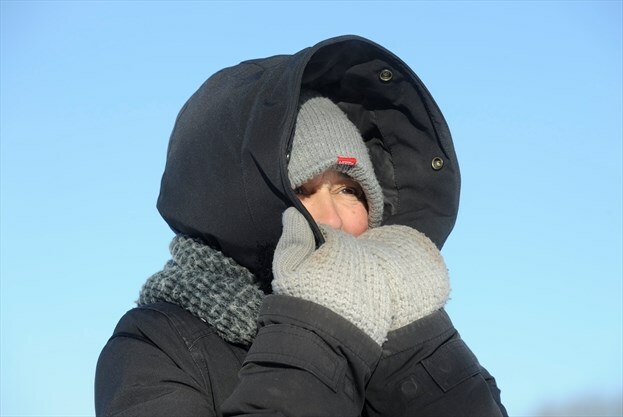 Be wary of temperatures below -20 C and watch for wind chills. Stay inside if you feel too cold. Frostbite is a body tissue injury from exposure to extreme cold. It commonly affects the nose, ears, cheeks, chin, fingers and toes. Affected areas will become reddish in colour and painful. The skin may dry and feel numb,. This is an indication that the skin is dying. In case of detection, head inside and warm up immediately. Consuming more calories than you’re burning may add a few pounds, but it will help your body tolerate the cold better. The right blood sugar level will provide the necessary energy to stay warm in the cold. While staying hydrated is critical, drinking warm liquids will also help maintain your body temperature.